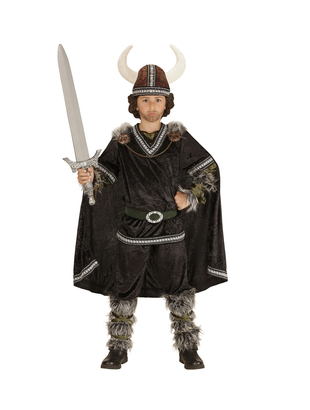 Unleash your inner conqueror with our Kids Viking Costume. 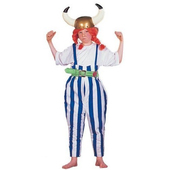 Included in this costume is a velour top and a pair of matching trousers. Also included is a detailed belt and a matching cape. 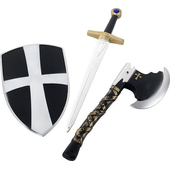 A pair of faux fur arm and leg covers are also included. 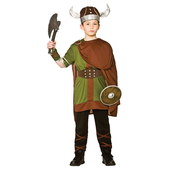 To complete the historic look a Viking helmet is also included. Add a sword and shield to finish off the look. 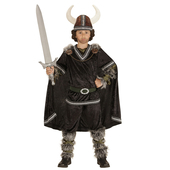 Costume is also available in Large age 11 - 13 years in our Tween/Teen section.